The Mall Road Most famous promenade in Queen of the Hills, Mussoorie is The Mall. 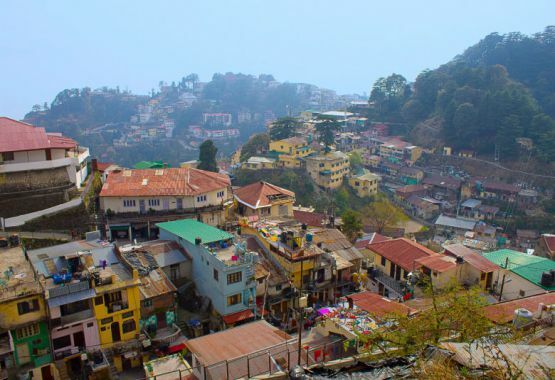 Like other hill stations Mussoorie has a Mall road with a valley view in one side. One end of the Mall road will take you to Gandhi chowk a center point and the taxi stand for Kempty water fall. The other end of Mall road is Kulri Bazar. Near Gandhi chowk and Mall road area. Camels Back Road A beautiful peaceful walk under the nature will always boost calmness and inner peace. 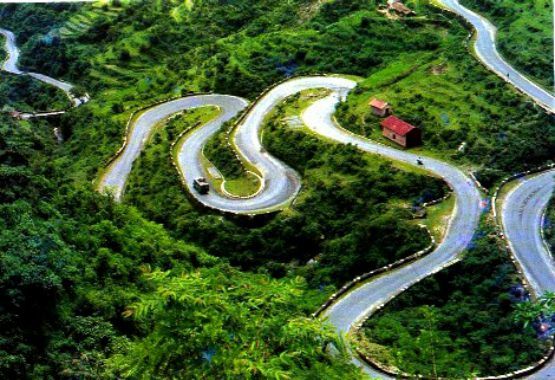 Camel Back Road provides the same experience in Mussoorie. This 3 km long road is named as Camel Back Road due to the presence of natural layout of rocks shaped like a camels hump at the end of road. 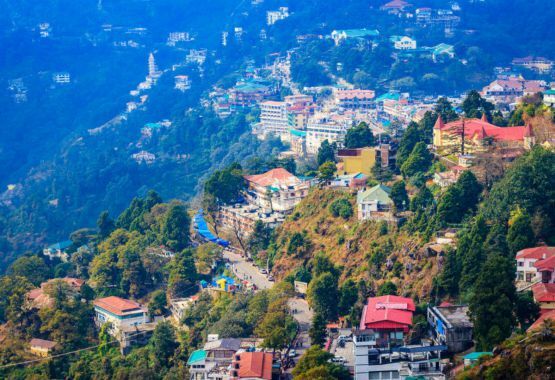 Dhanaulti is a hill station 24 km (15 mi) from the popular hill station of Mussoorie, and 31 km (19 mi) from Chamba, as it is situated between the two. ECO-Park is the main attraction of Dhanaulti. There are two Eco-parks, "Amber" and "Dhara" about 200 m apart. It has been developed recently by the Forest Department of Uttarakhand. 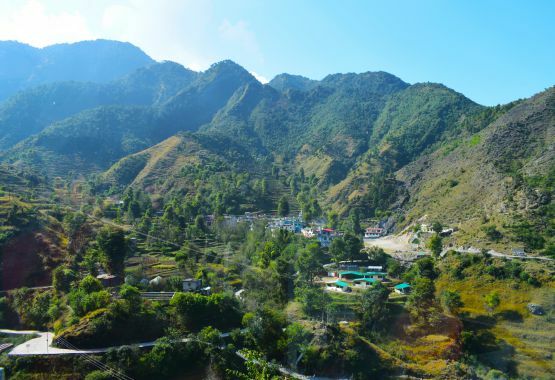 Company Bagh A major picnic location in Mussoorie, Company Garden is a colourful garden located at 3 km from The Mall. Also known as "Municipal Garden" or "Company Bagh", it is visited by number of tourists round the year. Company Garden has a variety of beautiful flowers and an amusement park also. 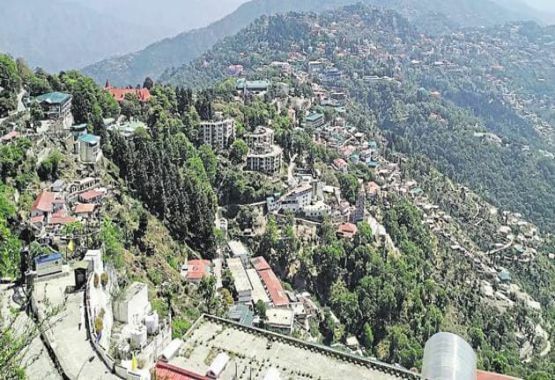 Gun Hill Point is one of the popular tourist attractions of Mussoorie, possessing historical significance dating back to pre-independence. It is believed that a canon was fired from the place at a fixed time on every afternoon. This firing at the hill provided an idea of time to the local residents of the destination and they adjusted their watches accordingly. Gun Hill can be easily reached by taking a ropeway ride, which is operated frequently for transfer of passengers. In addition to this, tourists can also cover a path from The Mall to reach the location by foot. 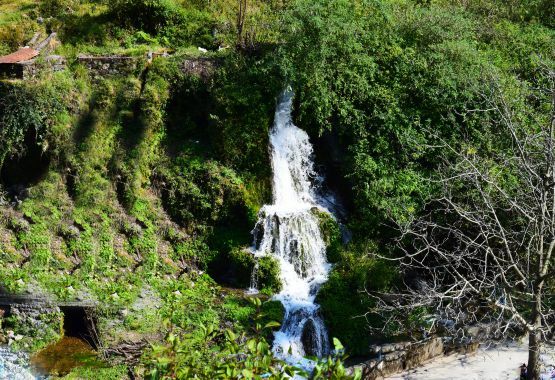 Kempty Falls is a waterfall in Ram Gaon and at the south of Kempty, in the Tehri Garhwal District of Uttarakhand, India. It is 13 kilometres from Mussoorie. Char Dukan is a small place which is near St. Paul's church. This place is called sisters bazaar. 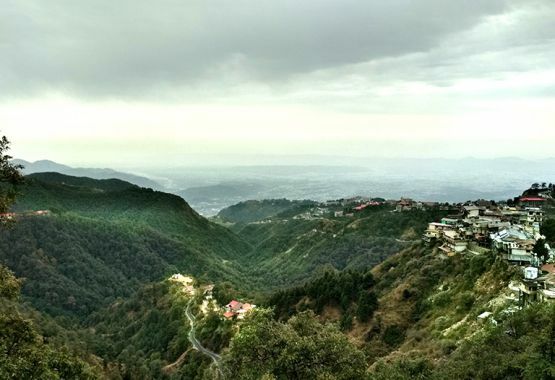 It is situated en route to Lal Tibba in Mussoorie. You can go for a walk to enjoy the beauty of this area. Lal Tibba A popular tourist destination and a world renowned Hill Station since the colonial tmes. 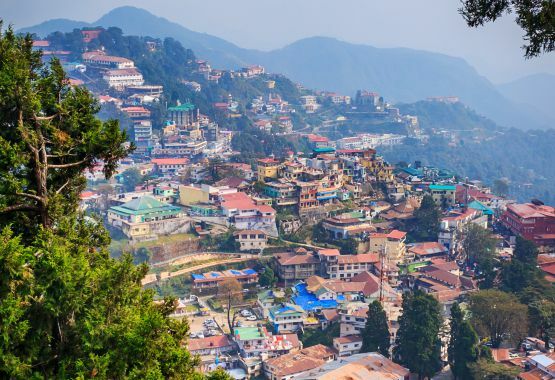 This sleepy little town served as the summer capital for the British India during the colonial Era. Sir George Everest was a British surveyor and geographer who served as Surveyor General of India from 1830 to 1843. He is best known for having Mount Everest, the highest mountain on Earth, named in his honour. Everest owned a house in Mussoorie, Uttarakhand, India, for about 11 years. Although now virtually derelict, it still has its roof, and there have been various plans to make it into a museum.